NEW Cadet Reference Manual and Revised Cadet Field Manual are here. 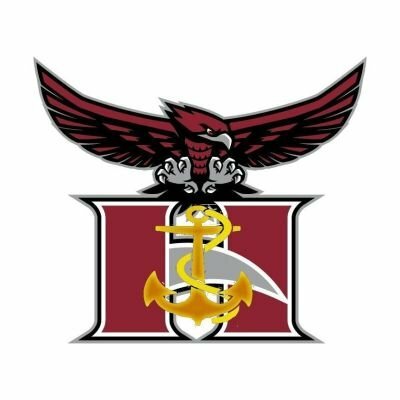 Look under "Cadet Resources" and "Military Knowledge"
The Hillgrove Navy Junior Reserve Officer Training Corps (NJROTC) was established in 2009. We are part of the Area-12 region with its headquarters located in Jacksonville, FL. 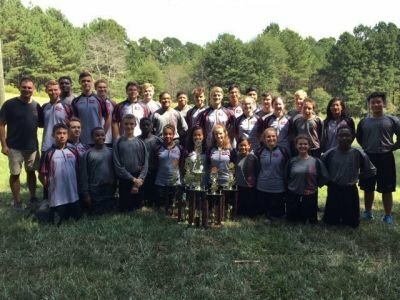 Although we are one of the youngest units in the nation we have quickly excelled to the top of the charts to include holding Orienteering and Academic State Championship titles and placing top 5 or better in numerous National Championships. We are also designated a “DISTINGUISHED UNIT WITH ACADEMIC HONORS” for four years running; an honor reserved for the top performing NJROTC units. Our annual cadet enrollment is approximately 110 cadets. There are costs, although minimal, associated with field trips and competition teams, but all required uniforms are supplied at no cost to the cadet. NJROTC is an elective class and part of the cadet's daily school schedule. A cadet has no military obligation resulting from participating in the NJROTC program; however, if a cadet chooses to pursue a career in the military they can receive up to a 2-step enlisted pay grade bump for the time they spent in the NJROTC program. Qualified cadets are also eligible to apply for ROTC scholarships including scholarships only available to NJROTC cadets. NJROTC/PE/Health Credit: The Cobb County School District allows 3 credits in NJROTC to satisfy the PE/Health high school graduation requirement beginning with students that enter, as 9th grade (freshman), the 2017-2018 school year. The NJROTC program was authorized by the JROTC Vitaization Act of 1964. The mission of the NJROTC program is “to instill in students the value of citizenship, service to the United States, personal responsibility and a sense of accomplishment.” The NJROTC curriculum emphasizes citizenship and leadership development. Classroom instruction is augmented throughout the year by community service activities, academic, drill, marksmanship and orienteering competitions, visits to industry and college campuses and numerous other activities. We follow and instill the Navy’s core values of Honor, Courage and Commitment and feel that active cadets will see the greatest benefits in personal growth, leadership development, and the opportunity to achieve their full potential. Drill - Finished 4th at the Area-12 (State) Championships and Received the CDR Richard Murra Motivational Award. Orienteering - NATIONAL CHAMPIONS for the first time ever! 2017-2018: DUAL STATE TITLE HOLDERS!!! Orienteering - Finished 2nd at the Area-12 (State) Champions for the first time. Finished 3rd at the National Championships held in Washington State. Orienteering - Finished 3rd at the Area-12 (State) Champions for the first time. DISTINGUISHED UNIT WITH ACADEMIC HONORS - 1st TIME EVER! 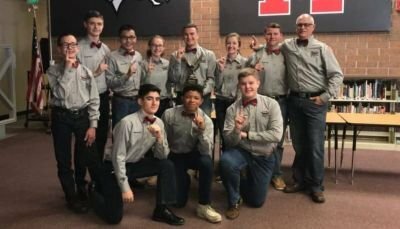 Academic - Finished 5th at the Area-12 (State) Championships and 8th place at the Nationals. UNIT ACHIEVEMENT - 1st TIME EVER! Academic - Finished 5th at the Area-12 (State) Championships and 9th at the National Championships. Drill - Participated in our first ever regional drill competition and finished 3rd in numerous events. Below are downloadable forms for upcoming events. What are we discussing in class! Responsible for the overall guidance and direction of the unit. Meet a minimum of once per week with SNSI for leadership training and mentoring in carrying out unit responsibilities. Carry out assigned tasks as provided by the SNSI/NSI. Establish clearly defined “SMART” goals for the unit and work toward achieving these goals. Ensure these goals are clearly expressed to all cadets. Be familiar with the duties of all unit staff members and provide the necessary instruction and mentoring to ensure the proper and efficient operation of the unit. Maintain the highest standards of unit discipline, appearance, and morale. Practice sound leadership techniques and be aware of the leadership styles/effectiveness of the other unit staff members. Be responsibility for all unit functions and activities. Delegation of authority does not mean delegation of responsibility. Carry out tasks assigned by the unit Company Commander or the SNSI/NSI. Be prepared to stand in for the Company Commander at any time. Maintain the unit EOY Report as a living document. Ensure team commanders and event OIC’s submit proper event after action reports / records to the Administration Officer for proper recording in CDMIS. Continually assess progress toward achieving unit goals and make recommendations, where appropriate, to revising goals. Ensure that all team captains are properly documenting practice and competition attendance. Coordinate team photos for submission to the school yearbook. Assist with special projects and annual events, working closely with the SNSI, NSI, and other staff members. Monitor the training program to ensure that PARS and advancement exams are being properly completed. Ensure the effectiveness of the mentoring program and that all cadets in the unit are properly assigned a mentor upon joining the unit. Responsible for the highest standards of discipline, conduct, and uniform appearance. Take muster at company functions, practices, staff meetings and report to the XO/CO. Assist the CO/XO in any way necessary to run the unit efficiently. Be prepared to form the company for drill or inspection in the absences of officers. Plan and supervise routine clean-up of unit spaces. Conduct a major field day of all unit spaces before command inspections and all other major evolutions. Maintain / update the unit calendar. Ensure the Plan of the Week (POW) is properly prepared and submitted to the SNSI. Coordinate event requirements and sign-up sheets to ensure events needs are met. Finalize event sign-up sheets prior to each event. Be familiar with trip requirements, especially for drill, color guard, and athletic teams. Be prepared to fill in as Executive Officer as required. Ensure team commanders are proficient in their positions as team leaders. Assist CO/XO in special projects, to include AMI, field trips, parades, etc. Maintain inventory and accountability for all instructional material, organizational items, and uniform items. Coordinate the issue and turn-in of all uniform items. Conduct monthly inventory spot-checks to verify CDMIS information. Conduct annual (or as required) wall-to-wall inventories on uniforms, organizations, and minor property and submit as required. Control access to all unit supply storerooms. Ensure all storerooms are clean and orderly. Coordinate pick-up/delivery of uniforms from cleaners as required. Recommend to SNSI/NSI uniforms, gear, and books for survey, repair or cleaning. Ensure unit drill rifles, swords, and flags are clean, in good repair and properly accounted for. Maintain all cadet administrative records in CDMIS. Record the minutes of unit staff meetings and provide copies to all staff members. Prepare unit forms and new cadet packets for issuance to all new cadets upon arrival. Maintain an accurate records of all forms received on an annual basis. Enter information into CDMIS for all event After Action Reports and promotions. Print promotion, cadet or month, award, and other certificates on a weekly basis for presentation during quarters. Track personnel awards, lettering qualifications, and advancement charts. Be responsible for the appearance, discipline, and conduct of cadets within their platoons at all times. You must be the example for leadership and uniform appearance. Maintain high proficiency within their platoons in drill, ceremonies, customs, courtesies, and appearance. Develop leadership in unit members and provide opportunities for each member to practice leadership training. Ensure accurate musters of their platoons during class and at all unit functions. Nominate cadets for junior and senior Cadet of the Month, as required. Ensure assigned cadets turn-in all required forms as needed by Supply and Admin. Check cadet folders once a week to ensure completion of PARS and PFT info. Assist classroom instructor in facilitating classroom instruction, as needed. Ensure morning/afternoon colors in properly conducted, when assigned. Act as a sponsor for newly assigned cadets during the school year, until a mentor is assigned. Ensure all spaces are maintained in a neat and organized manner every day. Coordinate advancement testing of all platoon members, to include exam creation, administering, grading and promotion recommendations. Maintain advancement exam test bank. Ensure all PARS cards are adequately stocked/replenished. Coordinate quarterly PARS submissions and advancement exam schedule. Coordinate and conduct training for those cadets in need of additional training relating to general military knowledge and drill. The 1st Lieutenant is responsible for the physical surroundings of classrooms and mess areas. Ensures physical surrounding appearance standards are met. Supervises and controls field mess space/provisions. 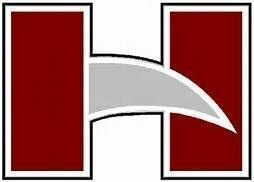 Supervises maintenance and control of equipment through the Hillgrove NJROTC chain of command. Responsible for identifying, coordinating, and conducting all community and school service opportunities. Provide timely notification to unit staff and instructors of all community and school service opportunities. 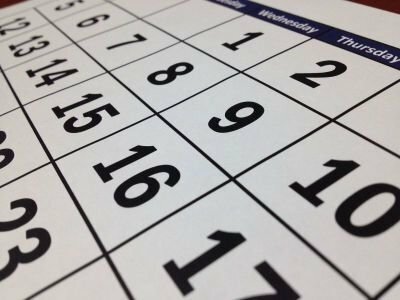 Ensure all community and school service events are listed on the unit calendar. Coordinate signups for all events to meet event needs. Verify all community/school service event After Action Reports are properly completed and submitted in a timely manner following events. Maintain a close liaison with school/local media with regards to the unit, preparing monthly articles for submission to SNSI. Maintain a yearly unit scrapbook or file with pictures from all events. Maintain unit bulletin boards in a neat and orderly manner with updated event pictures. Prepare and submit closed-circuit promotional slides to SNSI on a monthly basis. Coordinate creation of unit slideshow(s) for the End of Year Awards Banquet. Coordinate the publishing of a unit yearbook each spring. Coordinate photography (video and still) unit activities/events/competitions. 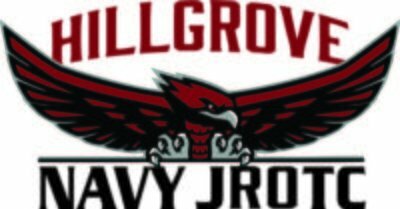 Assist in managing Hillgrove’s NJROTC website. Responsible for coordinating all recruiting efforts for the unit. Setup recruiting events at feeder middle and elementary schools. Coordinate with the Color Guard Commander to provide Color Guards for local school PTA meetings. Track and recommend the recruiting ribbon for those cadets who successfully recruit two or more cadets into the NJROTC program. Responsible for proper training at all color guard members. Maintain and making recommendations for care and ordering of color guard equipment. Post and finalize all sign-up lists, as needed, to meet Color Guard requirements. Oversee performance of Honors Guard Captain. Coordinate competitive color guard drill team(s). Responsible for coordinating weekly Physical Training (PT) days. Coordinate with SNSI/NSI to conduct periodic mock PFT’s and classroom training. Coordinate with SNSI to compile athletic teams for Drill/Athletic competitions. Coordinate morning/afternoons colors sign-ups with Platoon Commanders. Track attendance binder to verify proper completion of colors. Verify the flag is properly hoisted and lowered each school day. Responsible for setting practice schedules for their respective teams. Conduct attendance at each practice, event, etc. Maintain an active roster of, and communications with all team members. Provide recommendations and rosters to SNSI/NSI for event/competition teams. Team Captains will be chosen cadets with final approval of SNSI/NSI. Please indicate the name of your cadet on "Full Name" line. 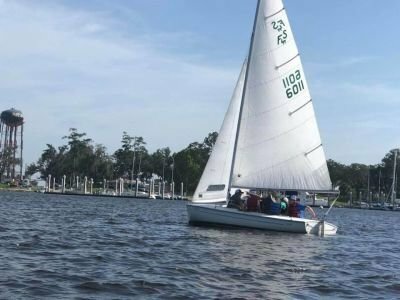 Would you like to sponsor your cadet? You can send money via PayPal and help your cadet raise money for trips and other events. The Academic Team participates in Brain Brawls, drill meets and academic postals. Brain Brawls are performed much like the college quiz bowls where a team of 4 utilizes buzzers during a random questions scenario. Drill meets and postal competitions are performed via the Classroom Performance System or written tests. Practices are held in Chief's classroom IAW the Plan of the Week. The Air Rifle team practices and competes IAW the Civilian Marksmanship Program (CMP) 3-position rule book. The 3 positions include: Prone (laying down), Standing and Kneeling while shooting on a 10 meter range using authorized .177 caliber air rifles. Competitions are conducted via Shoulder-to-Shoulder (STS) or postal matches. 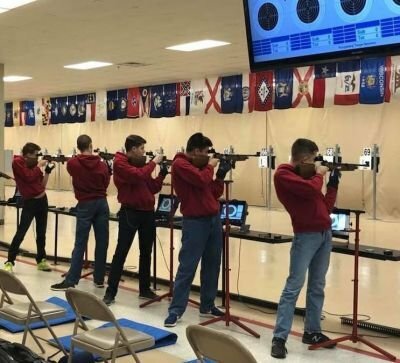 The matches are shot in a 3X10 or 3X20 format with cadets attempting to score as high as possible to a perfect 300 or 600 match. 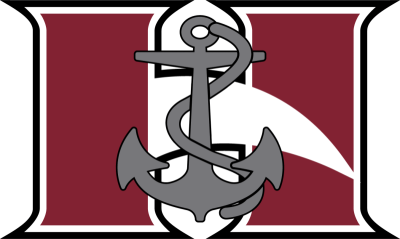 The Hillgrove Navy Junior Reserve Officers' Training Corps (NJROTC) Cadet Parent Organization's (CPO) mission is to encourage support and interest in Hillgrove's NJROTC Program in order to increase the overall visibility and advancement of the program at Hillgrove High School and within the local community. The CPO is comprised of instructors, cadets, parents, and other community leaders who assist in organizing fundraisers and donations from local area businesses and provide other necessary parental assistance, in order to provide funding and support of NJROTC related programs and activities as developed by Hillgrove's Naval Science Instructors.